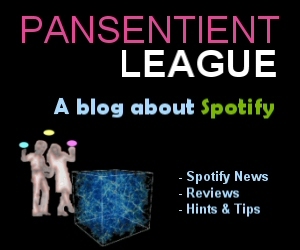 Welcome to the Pansentient League – a blog about Spotify! Thanks for stopping by: we hope you enjoy the site. Here you’ll find Spotify features, news and reviews, interviews, hints and tips… everything you need to help you get the most out of Spotify. 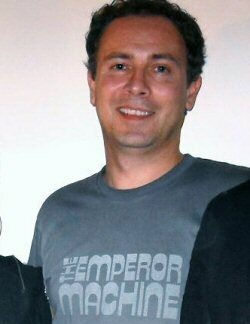 I’m Jer and I’ve been blogging about Spotify since early 2009. It all started with my Spotify-Powered CD Collection – I’d taken some photos of my CDs and made a webpage where you could click on a CD to open and play the album in Spotify. A bit geeky I know, but the idea sorta went viral so I decided to carry on learning and writing about Spotify. I’ve not looked back since! The Spotify community has grown tremendously since those early days. There are now nearly 200 Spotify Resources including websites, blogs, apps, tools and other neat services. New ones pop up every week, so there’s always something to write about here. Last year we ran The Spotties: the first ever Spotify Community Site Awards. That was great fun and really showed off the diversity and talent of people who’d become hooked on Spotify. There have been some big changes at Spotify recently, what with the new listening restrictions for free users, the introduction of an MP3 download store, and the launch in America. I don’t work for Spotify but I’ve gotten to know some of the guys there over the years. What strikes me most is their passion for the music and dedication to making Spotify even better. Just wait till you see what’s coming next! 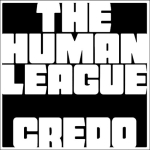 Please have a look around this site (the More on Spotify Page might be a good place to start). I’d love to hear what you think about the blog and about Spotify: feel free to email me or tweet me with any questions, comments or requests. You can subscribe to Pansentient League email or RSS updates and of course we also have a Facebook page. Finally, respect to all the amazingly talented artists who’ve given us such wonderful music and who let us enjoy it on Spotify. My life and probably yours too would be a lot duller without them. So in the words of Sweden’s other greatest export: Thank You For The Music. Jer White, Edinburgh Scotland, July 2011.